As a blogger, I love sharing beauty and fashion finds at all price points to fit with everyone’s budget. 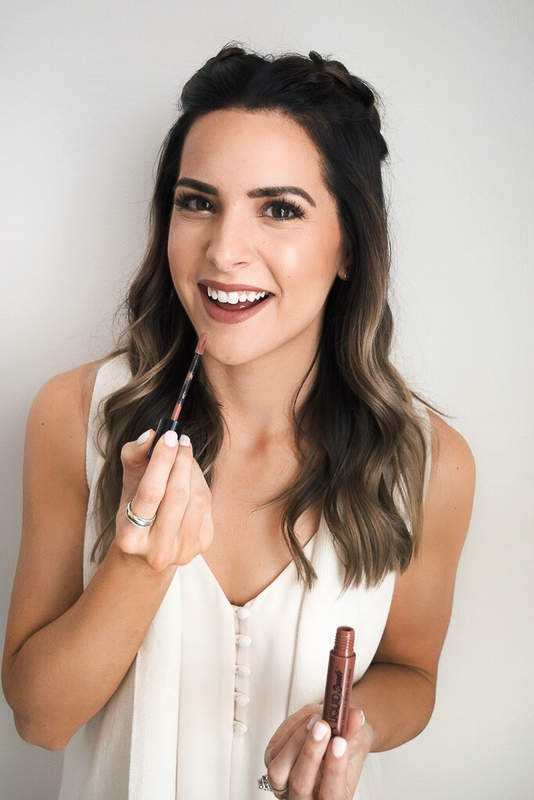 Did you know that some of my very favorite, holy grail makeup products can be purchased at Walmart?! So many of them are by NYX Professional Makeup, which happens to be my favorite drugstore makeup brand! 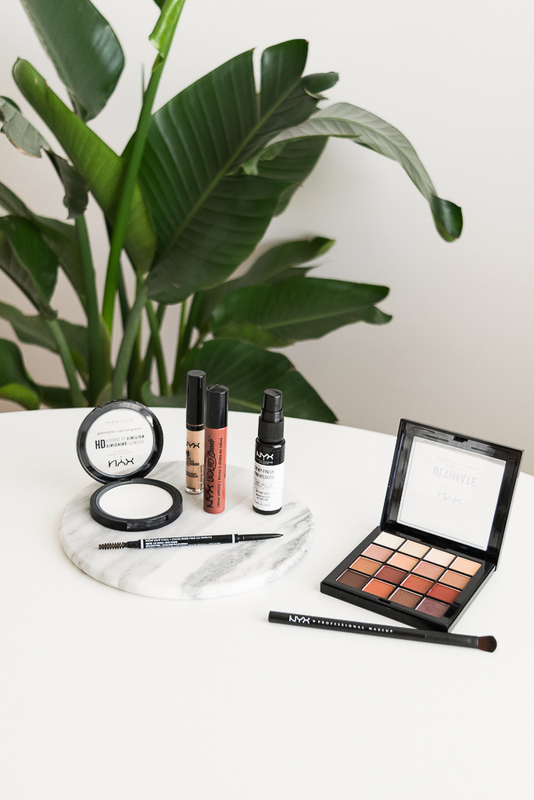 Today on the blog, I’m spilling my favorite spring and summer NYX Professional Makeup products from Walmart. The lip color I am reaching for constantly is the Liquid Suede Cream Lipstick in “Soft Spoken”. It literally looks good with everything, stays on for HOURS (even after eating and drinking!) and slowly fades into a beautiful, natural shade of mauve-y pink. And it’s not drying! Love it sooo much. If you get one thing from this post, let it be this fella. 🙂 This is probably my favorite NYX product I’ve used. 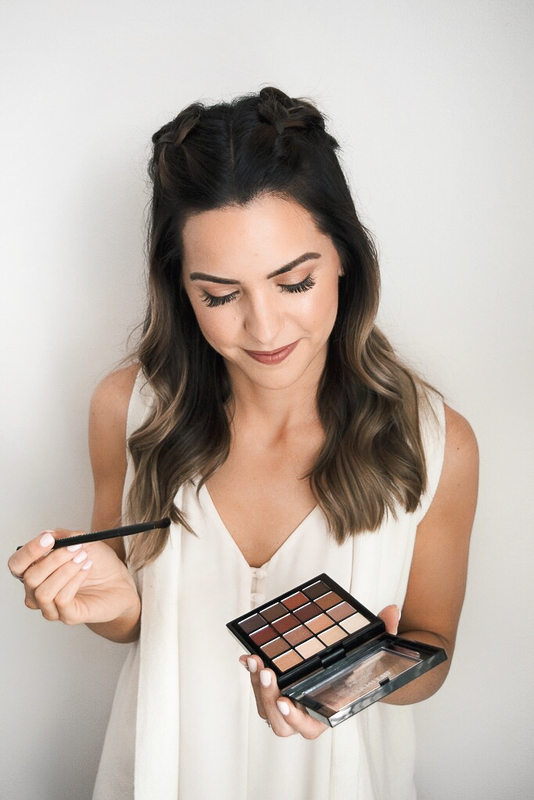 Recently, I have been trying out the Ultimate Shadow Palette in Warm Neutrals that I purchased from Walmart, and I am pretty darn impressed. You get 16 beautiful, warm neutral shadows for just under $18. For this look, I created a very natural eye that’s perfect for everyday! I typically use a light, shimmery shade on my inner corners and under my brow bone, a shade a touch darker on my lids, matte brown and/or taupe in my crease, and the darkest matte color as an an eyeliner at my lash line. These shadows are super pigmented and you get plenty of product – this palette will go a long way! 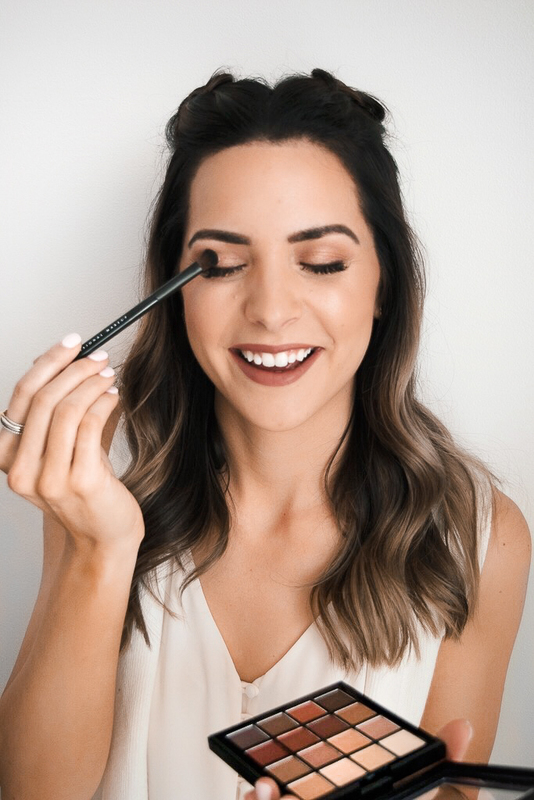 You guys know how important I stress a good brow is, so I’m so excited that I finally found an amazing brow pencil that looks natural and works well for only $9.97! It’s called the Micro Brow Pencil, and it comes in a range of shades for different brow colors – the one I use is called “Ash Brown”. 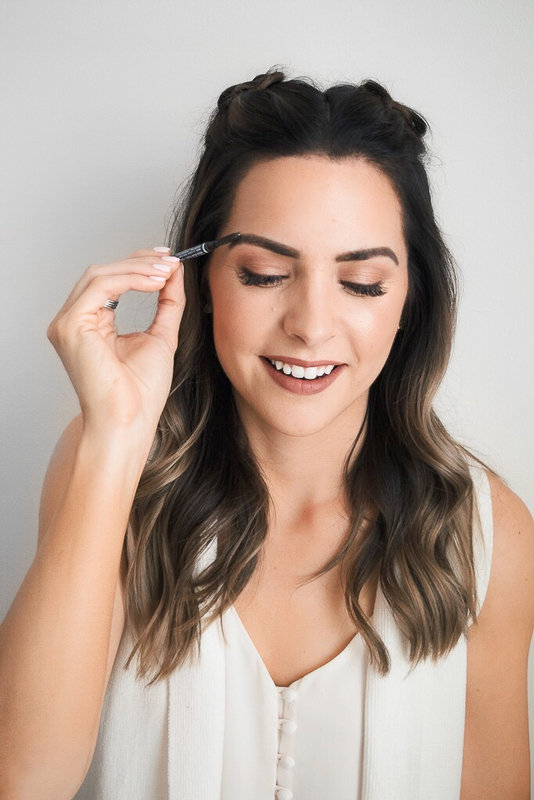 You don’t have to sharpen it when you need more product, is thin enough to create natural brow strokes, and has a spoolie at the end of it (an absolute must)! Under eye concealer is a must for me to hide dark circles, and I’m happy I found HD Photogenic Concealer, because the formula is awesome! It’s not drying, cakey or too oily. I love it! It’s also great for concealing blemishes, but you’ll want to use a shade that matches your foundation for that. So nice I bought it twice, this HD Finishing Powder in “Translucent” is so good you guys! I use this silky pressed powder to set my foundation and concealer, which helps it lock in and stay in place. It’s a matte finish, which makes for long-lasting makeup and softens the appearance of my fine lines and pores. I want to try the “Banana” shade that I saw at Walmart next! If you have oily skin, you’ll love this stuff. A little does go a long way though, so don’t go overboard! 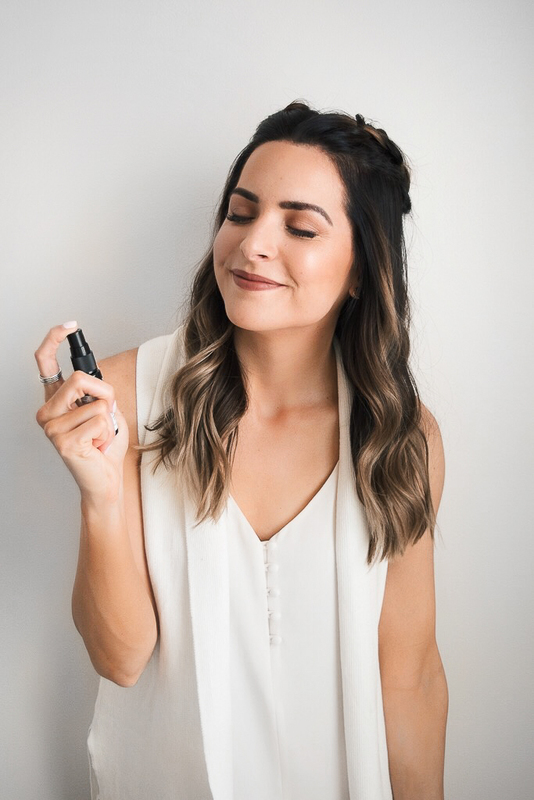 One of the things I look forward to most when applying my makeup is sealing it with a good setting spray; I mean, you spend all that time doing your makeup, might as well do what you can to make it last, right?! 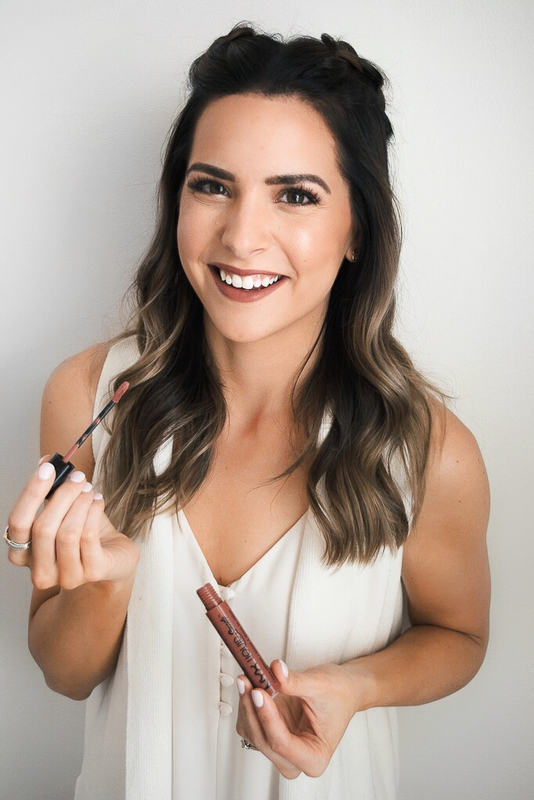 I love the Dewy Setting Spray for the spring and summer to give me that sought-after fresh, dewy glow! I highly recommend the dewy spray if your makeup is looking dry, dull, and/or cakey, because it will take care of that right away! I also love their Matte Setting Spray, but will typically use it in the fall/winter seasons or when my skin is feeling oily. I’ve also heard great things about the products below, so these are on my list to grab on my next Walmart run! Thank you Walmart for sponsoring this post! All writing and opinions are my own.